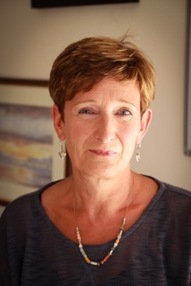 I currently work in private practice and hold CPCAB Level 4 Diploma in Counselling Studies and an Advanced Specialist Diploma in Clinical Supervision. I have experience of working part time as a CPCAB tutor facilitating courses for those wanting to undertake training as a counsellor. I hold the status of accreditation with the BACP have a level 6 Diploma in Clinical Supervision. A particular area of interest for me as a practitioner is eating disorders and obesity and I am consistently enhancing my knowledge through training with the National Centre for Eating Disorders as a Master Practitioner in order to work efficiently and safely with this client group. £40 per session with a discount of £5 per session for a block booking of four. Counselling students £30 per session with proof of level of course. £50 per session for EAP work. I hold an Advanced Diploma in Clinical Supervision. For me, supervision is the lynchpin of my own counselling practice. It provides an insight into the relationship between supervisee and client and, with appropriate challenge, helps recognition of how our own processes can get intertwined with our client work, thus helping us to move forward and improve the quality of our work. I offer support, encouragement and advice when dealing with difficult situations, ethical dilemmas and practice concerns with an open mind. I see the supervisee/supervisor relationship as an important part of the work and something to be nurtured and reviewed regularly. I believe a good relationship is based on trust, honesty and a mutual congruence and is something I would aim to take forward in my work with you. A particular area of interest for me as a practitioner is eating disorders and obesity and I am consistently enhancing my knowledge through training in order to work efficiently and safely with this client group.